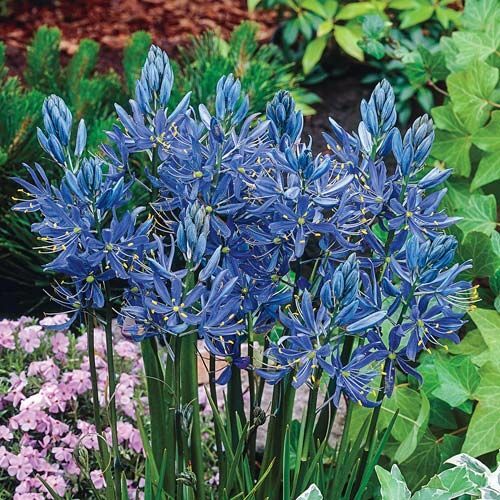 These beautiful blue flowers rise in open spikes of star blossoms, filling the gap between spring and summer displays. The plant is drought tolerant, giving the garden a refreshing, healthy look while using much less water. As a native plant, it grows in difficult areas, including heavy clay soil. Camas Lily, also known as Wild Hyacinth or Indian Lily, is also culturally significant—perfect for both the busy gardener and the history buff. It is an excellent naturalizer, and could be found in the wilds of Idaho, spreading out across a prairie like a lake of cool blue water. 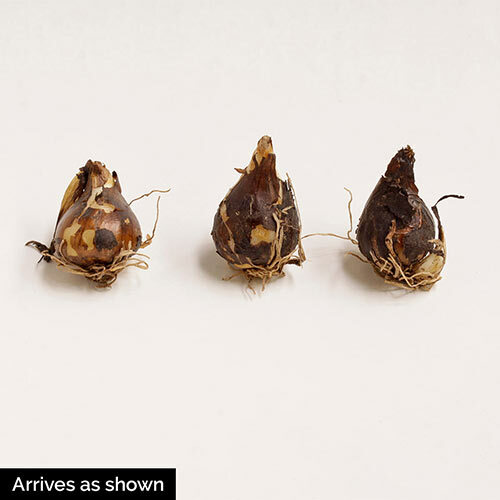 It was an important source of sustenance for American tribes and a staple in the Nez Perce diet for thousands of years. We do not suggest eating Camas Lily, however, as Death Camas tends to grow with it—a variety equally as beautiful but poisonous to eat. Foliage TypeCamas have the signature strap-like leaves, with the flowering stem rising above the graceful cascade of leaves. Flower FormThe flower rise in an open spike of star-shaped blossoms, ranging from pale blue to a deep blue-violet. Soil RequirementsTolerant of many soil types and can thrive in heavy clay. Planting InstructionsPlant 1-2" deep and 3-6" apart. Full sun is best but has some tolerance of partial shade.